Wolcott, Karen, MS. Very Good. 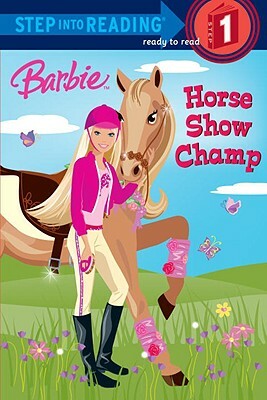 Horse Show Champ (Barbie (Random House)) by Parker, Jessie. Trade paperback (US). Picture book. Glued binding. 32 p. Contains: Illustrations, color. Barbie (Random House). Intended for a juvenile audience. Wolcott, Karen, MS. Good. Horse Show Champ (Barbie (Random House)) by Parker, Jessie. Trade paperback (US). Picture book. Glued binding. 32 p. Contains: Illustrations, color. Barbie (Random House). Intended for a juvenile audience. Very Good. 0375847014 Ships from Tennessee, usually the same or next day.